​A second sheriff’s deputy died early Saturday from injuries suffered when an inmate who was being transported in Kansas City overpowered two officers and shot them. 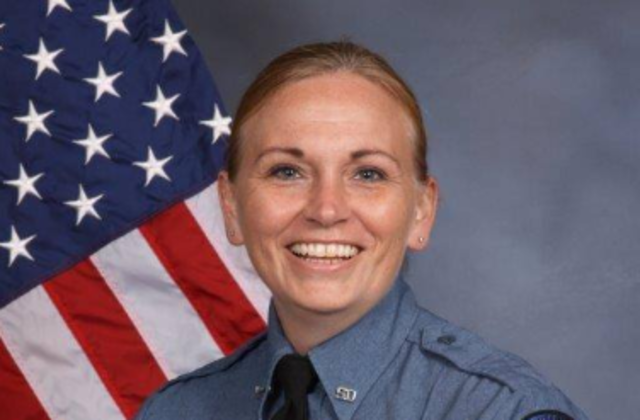 Kansas City, Kansas, police confirmed on their Facebook page that 44-year-old Deputy Theresa King died just after midnight following the shooting on Friday. 35-year-old officer Patrick Rohrer died earlier. The inmate was also shot during a confrontation in a gated area near the Wyandotte County Courthouse. Investigators said the inmate may have grabbed a weapon from one of the deputies during a struggle late Friday morning. The inmate was shackled and in handcuffs. “It is very possible that with their own firearm, they were both shot,” Wyandotte County sheriff’s Maj. Kelli Bailiff said during a news conference Friday at the University of Kansas Hospital. Rohrer had been with the department for seven years and King for 13 years. Both of them were parents, according to authorities. King had three children and Rohrer had two, Wyandotte County sheriff’s Maj. Kelli Bailiff said at a news conference. Terry Zeigler, the police chief of Kansas City, Kansas, said he couldn’t release the name of the inmate suspected of shooting them Friday because he hasn’t been charged. Zeigler said the last he heard, he was in stable condition. Kansas City, Kansas has dealt with other officer shootings in the recent years. Two Kansas City officers were shot and killed within less than three months in 2016. Capt. Robert Melton was slain in July while searching for a suspect in a drive-by shooting. Melton was part of the police honor guard for Det. Brad Lancaster, who was fatally shot earlier in 2016 near the Kansas Speedway.